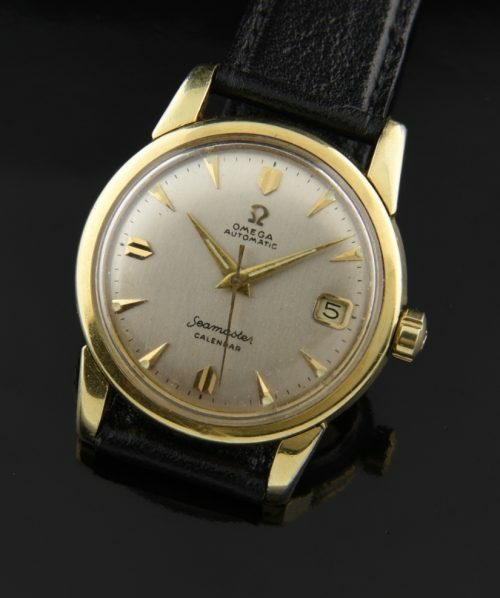 This 1956 OMEGA Seamaster calendar is a timeless watch that can be worn for many years to come. This example measures 34mm. in gold capped with stainless steel snap back case (very good shape) and correct winding crown. The automatic winding caliber 502 movement was just cleaned and accurate. 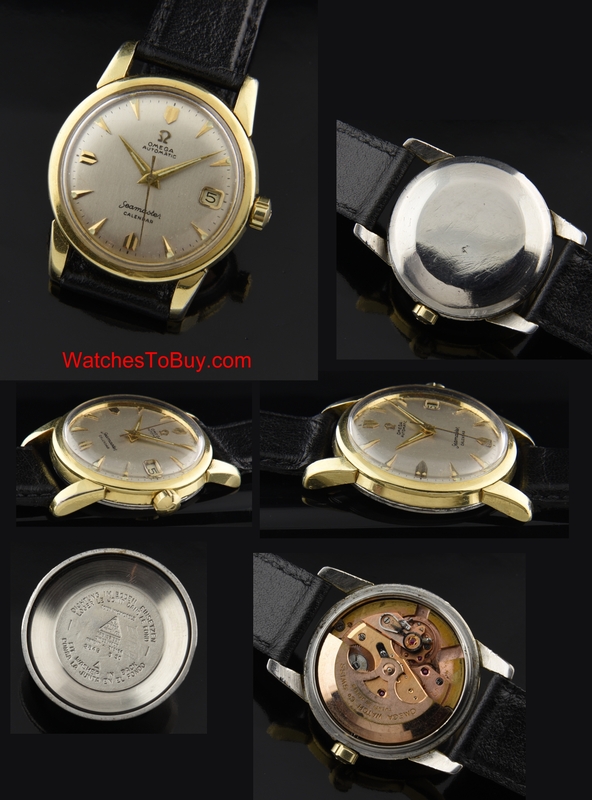 This dial was restored many years ago with the original raised gold toned markers and Dauphine style hands present.